Team GMV are excited to let you know that also in 2018/2019, we will be offering guests a choice of package deals. Based on our experience of what activities GMV’s guests tend to enjoy most when they visit our resort, we have put together three different packages: Canang, Agung and Besakih. 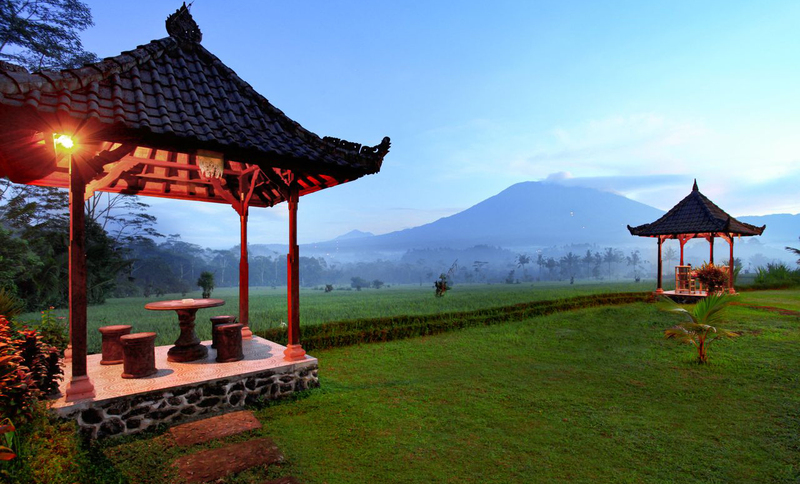 Our ‘Canang’ cultural package’ is focused on Bali’s beautiful culture. 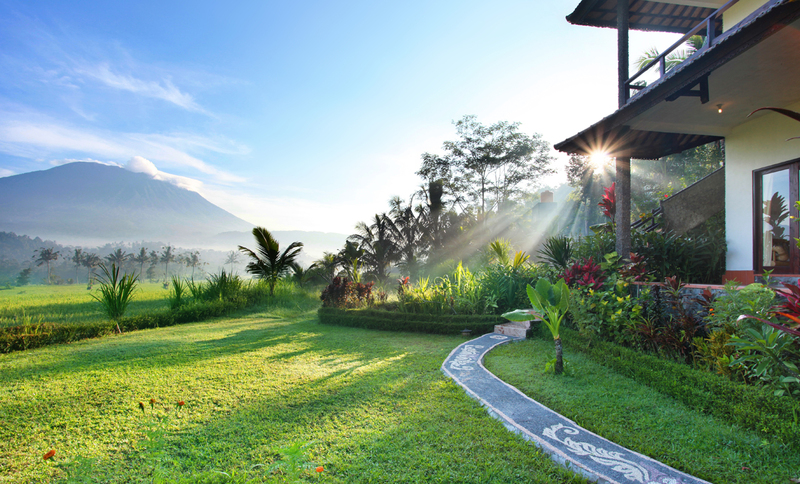 It gives you a taste of all GMV has to offer – the natural environment, the food, the temples and other aspects of Balinese culture – while the focus is on rest and relaxation. You will enjoy plenty of different activities, but none of them are too strenuous. The ‘Canang’ package can be enjoyed by people from all walks of live and levels of fitness. Our ‘Agung’ adventure package’ is perfect if you have an adventurous nature and like to walk, climb and do a bit of snorkelling, but don’t want to exert yourself too much. You’re on holiday, after all, so we’ve left some open spaces for you to read a book or enjoy sipping a cocktail while taking in the views of Mt Agung. 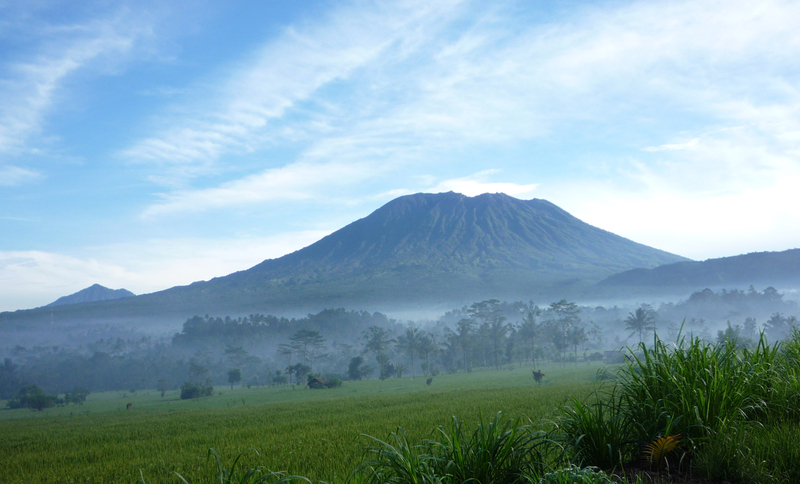 The ‘Besakih’ adventure package’ is jam-packed with activities, some of them requiring a good deal of stamina. The highlight of this package is the 12-hour climb of Mt Agung starting at Pura Besakih, but you’ll also enjoy snorkelling at Bloo Lagoon and white-water rafting. and ask for a tailor-made quote. Don’t forget to mention the period you’d like to stay, some activities you would like to include, the villa of your preference, the number of people in the group and whether these include children. Please email Clare at clare@greatmountainbali.com to book your package. Don’t forget to indicate your preferred package (Canang, Agung or Besakih), date of arrival, and whether you’d prefer a twin or a double room. Please specify if you’d like for us to arrange transport to and or from the resort (additional fee applies). Day 1: arrival at resort; welcome cocktail; lunch; making of, and learning about, Balinese offerings (canang); dinner. Free evening. 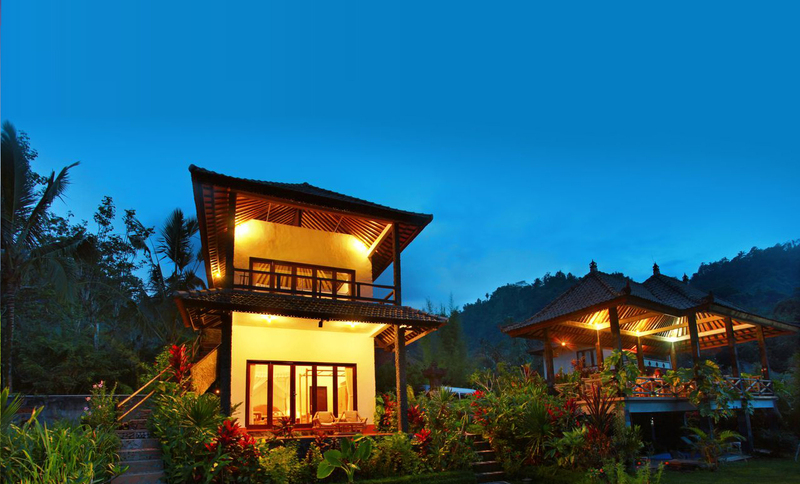 Day 3: morning: half-day tour of Besakih temple and Tirta Gangga water palace; Subject to availability (on a first-come-first-served basis), dinner will be served in one of the private pagodas overlooking the rice fields. Day 1: arrival at resort; welcome cocktail; lunch; Rice Field Walk**; dinner. Free evening. Day 3: snorkelling or rafting; afternoon: River Walk. Subject to availability (on a first-come-first-served basis), dinner will be served in one of the private pagodas overlooking the rice fields. Day 4: rafting; River Walk. Subject to availability (on a first-come-first-served basis), dinner will be served in one of the private pagodas overlooking the rice fields. * All packages include accommodation in Jasmine or Lotus Villa (double or twin – please indicate your preference with your booking). Subject to availability, we can, if preferred, upgrade your booking to Frangipani Villa (top or bottom unit) for the additional fee of US$ 15/night. ** Guest will have the option to do the Rice Field Walk either on the day of arrival, or on the day of departure, depending on their time of arrival and/or personal preference. All packages include breakfast, lunch, and dinner on all days, except on the day of arrival (lunch and dinner only) and on the day of departure (breakfast only). If lunch is missed on the day of arrival, guests are entitled to a free lunch on their day of departure. All taxes are included in the package price. Transport to and from all activities mentioned in the package is included. Transport to the resort on the day of arrival and from the resort on the day of departure is not included, but can be catered for. We can arrange transport from and to any location on Bali – please email Clare at clare@greatmountainbali.com to check the additional fee and/or to personalise your package. Please note that all activities, especially the climb of Mt Agung, are subject to weather conditions and are at your own risk. If the weather conditions do not permit us to climb Mt Agung or to partake in any scheduled activity, an alternative activity will be arranged in consultation with you, or your money for this activity will be refunded. Please be aware that, due to weather conditions and personal or local circumstances, activities may at times have to be shifted around within the programme. All activities have inherent risks to health and safety and Great Mountain Views Villa Resort will not be responsible for any eventualities related to any activities or services booked through the Great Mountain Views Villa Resort website or directly with the management during your stay at Great Mountain Views Villa Resort. Customers are strongly advised to take out their own holiday insurance before travelling to Bali. Packages are to be paid for in advance by PayPal or Bitcoin. For cancellations, please see our Cancellation and Refund Policy.